The aim of CoDyCo is to advance the current control and cognitive understanding about robust, goal- directed whole-body motion interaction with multiple contacts. CoDyCo will go beyond traditional approaches: (1) proposing methodologies for performing coordinated interaction tasks with complex systems; (2) combining planning and compliance to deal with predictable and unpredictable events and contacts; (3) validating theoretical advances in real-world interaction scenarios with the iCub humanoid robot engaged in whole-body goal-directed tasks. 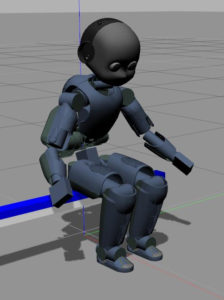 The evaluations will show the iCub exploiting rigid supportive contacts, learning to compensate for compliant contacts, and utilizing assistive physical interaction. Romano, F.; Nava, G.; Azad, M.; Camernik, J.; Dafarra, S.; Dermy, O.; Latella, C.; Lazzaroni, M.; Lober, R.; Lorenzini, M.; Pucci, D.; Sigaud, O.; Traversaro, S.; Babic, J.; Ivaldi, S.; Mistry, M.; Padois, V.; Nori, F.; (2017) The CoDyCo Project achievements and beyond: Towards Human Aware Whole-body Controllers for Physical Human Robot Interaction. IEEE Robotics and Automation Letters. Dermy, O.; Paraschos, A.; Ewerton, M.; Peters, J.; Charpillet, F.; Ivaldi, S. (2017) Prediction of intention during interaction with iCub with Probabilistic Movement Primitives. Frontiers in Robotics & AI, 4:45, doi: 10.3389/frobt.2017.00045. Padois, V.; Ivaldi, S.; Babic, J,; Mistry, M.; Peters, J.; Nori, F. (2016) Whole-body multi-contact motion in Humans and Humanoids: Advances of the CoDyCo European project. Robotics and Autonomous Systems. Ivaldi, S.; Lefort, S.; Peters, J.; Chetouani, M.; Provasi, J.; Zibetti, E. (2016) Towards engagement models that consider individual factors in HRI: on the relation of extroversion and negative attitude towards robots to gaze and speech during a human-robot assembly task. Int. Journal of Social Robotics. Ivaldi, S.; Babic, J.; Mistry, M.; Murphy, R. (2016) Special Issue on Whole-body control of contacts and dynamics for humanoid robots. Autonomous Robots, vol. 40, n.3, pp. 425-428. Modugno, V.; Chervet, U.; Oriolo, G.; Ivaldi, S. (2016) Learning soft task priorities for safe control of humanoid robots with constrained stochastic optimization. Proc. IEEE/RAS International Conf. on Humanoid Robots (HUMANOIDS). 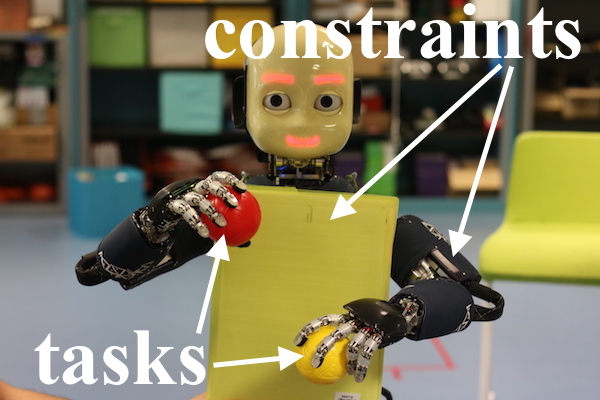 Modugno, V.; Neumann, G.; Rueckert, E.; Oriolo, G.; Peters, J.; Ivaldi, S. (2016) Learning soft task priorities for control of redundant robots. Proc. IEEE International Conf. on Robotics and Automation (ICRA). Calandra, C.; Ivaldi, S.; Deisenroth, M.P. ; Peters, J. 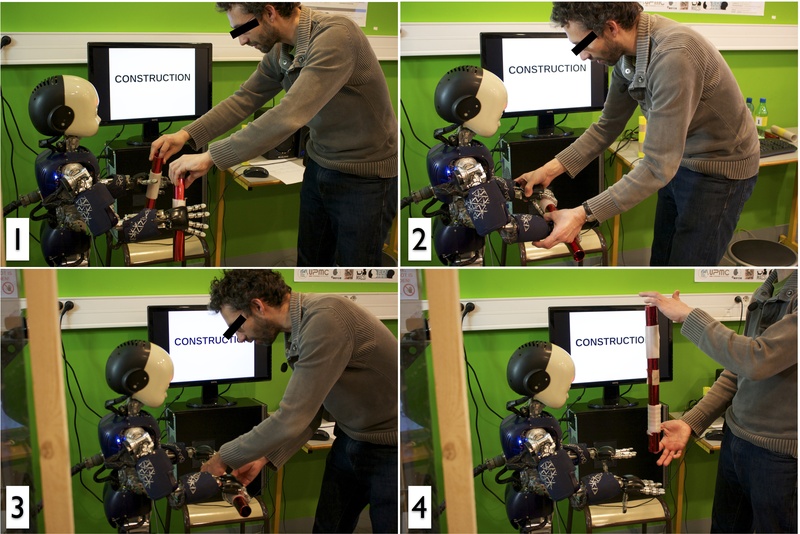 (2015) Learning Torque Control in Presence of Contacts using Tactile Sensing from Robot Skin. Proc. IEEE/RAS International Conf. on Humanoid Robots (HUMANOIDS). Calandra, R.; Ivaldi, S.; Deisenroth, M.P. ; Rueckert, E.; Peters, J. (2015). Learning Inverse Dynamics Models with Contacts, Proc. IEEE International Conference on Robotics and Automation (ICRA).